Homewood at Richmond Heights provides our residents with lifestyles, housing, care and services in comfortable surroundings combined with exceptional amenities, programs, and care. Through Brookdale’s signature Personalized Assisted Living we customize our care offerings for the individual. This allows each resident the freedom and opportunity to make choices that will ease their lifestyle transitions. Our residents enjoy life with the support they need, coupled with the proper lifestyle and care accommodations as their needs change. At Homewood at Richmond Heights we promise Respect for Individual Preferences and offer personalized care in an atmosphere that encourages each resident to live in health and longevity. 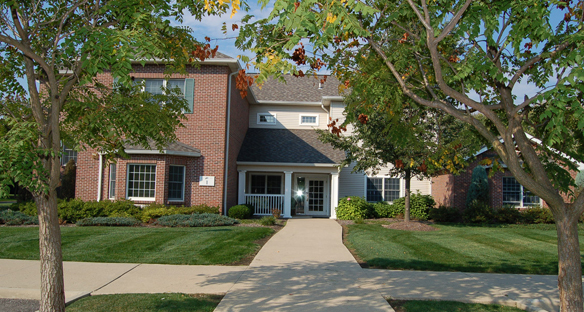 Homewood at Richmond Heights provides a comfortable lifestyle, housing, care and services combined with exceptional amenities, programs and care. Our residents enjoy life with support they need, coupled with the appropriate accommodations as their needs change. Our community is dedicated to enriching the lives of our residents every day with signature services to those who value their freedom and independence, but desire or need services providing them with the highest level of quality, care and value. Our Clare Bridge Place program serves those with Alzheimer’s disease and other forms of dementia. Each day, we promise to work to deliver Daily Moments of Success for each resident. The Clare Bridge Daily Path provides structure and activities each day designed to meet specific needs of those with dementia, while the Clare Bridge Dining Program, designed by a gerontologist and registered dietitian, helps residents retain the ability to enjoy and master the daily dining experience.